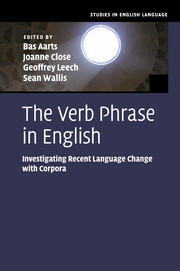 A pioneering collection of new research that explores categories, constructions, and change in the syntax of the English language. 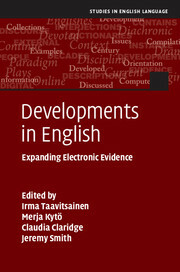 The volume, with contributions by world-renowned scholars as well as some emerging scholars in the field, covers a wide variety of approaches to grammatical categories and categorial change, constructions and constructional change, and comparative and typological research. 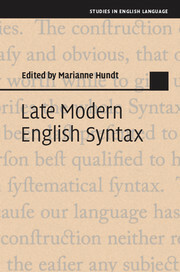 Each of the fourteen chapters, based on the analysis of authentic data, highlights the wealth and breadth of the study of English syntax (including morphosyntax), both theoretically and empirically, from Old English through to the present day. 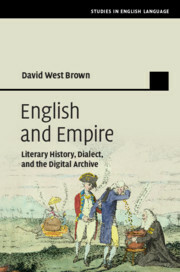 The result is a body of research which will add substantially to the current study of the syntax of the English language, by stimulating further research in the field. 14. 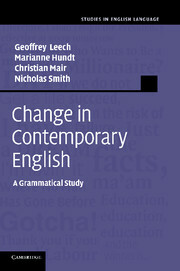 American English: no written standard before the twentieth century? Christian Mair. 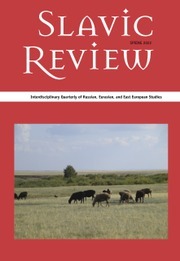 Nuria Yáñez-Bouza is a Lecturer in English Language at the Universidade de Vigo, Spain and Honorary Research Fellow at the University of Manchester. 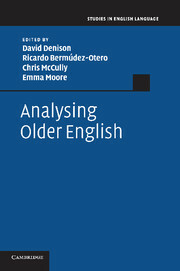 Emma Moore is a Reader in Sociolinguistics at the University of Sheffield. 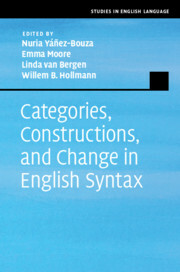 Linda van Bergen is a Lecturer in the Department of Linguistics and English Language at the University of Edinburgh. Willem B. Hollmann is a Senior Lecturer at Lancaster University.